The best thing about these soaps is that they are really easy to make. They do require a little adult supervision as the melted glycerine is hot when it comes out of the microwave. This is a fun project for Valentine’s Day for kids who love the added value of giving homemade gifts. 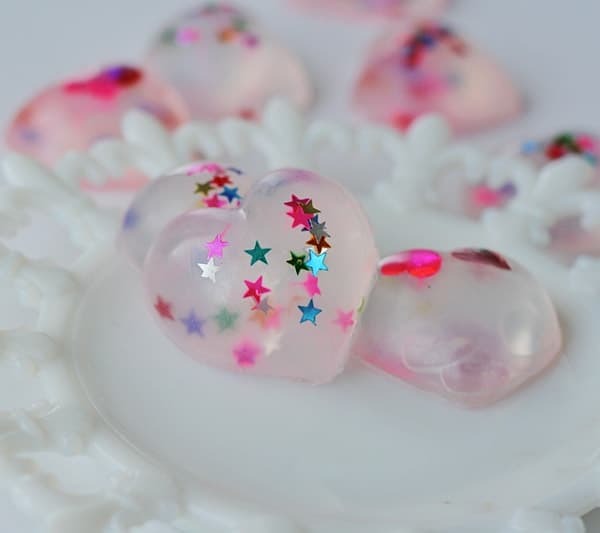 Get my tutorial for these Decorative Confetti Heart Soaps on Kix Cereal. Hi Lesley. Yes it will, so these are purely decorative!